Not only was it our first Bunco of 2012 this last weekend, it was also the one year anniversary of when our little group of girls formed our Bunco team! Many of you have asked me what Bunco is... and so, I thought I would quickly explain. It's basically a dice game that takes no talent or thought... it's just about rolling 3 dice and trying to get certain numbers. For us, it's a time to get together, chat, and enjoy good food & drinks! Great way to kick off 2012 with these ladies... I love 'em! How fun!! Ps- I signed up for the event on the 28th! Now I just have to get my finger prints done. I am SOOO excited! I have attempted to get a Bunco group together for months now. It is SO hard to get 12 girls to commit! I am so jealous of this post!!! I always your enjoy your Bunco pics, it looks like fun! I always get so jealous of these pictures...looks like you girls have such a fun time! My sister bought the bunco game, and this reminds me that I need to get her to play it. I think I see a girls night coming soon!! I need to find a group!! Looks like y'all had a fab time! Fun! I've only played Bunco once, but it was so fun! So much fun! I wish I had more girlfriends here to start a group :) Fun way to bring in the new year! Looks like such a fun way to get everyone together--I want a bunco group now! Okay, were those gummi bears up top? Now I'm absolutely craving gummi bears! :) Ha! 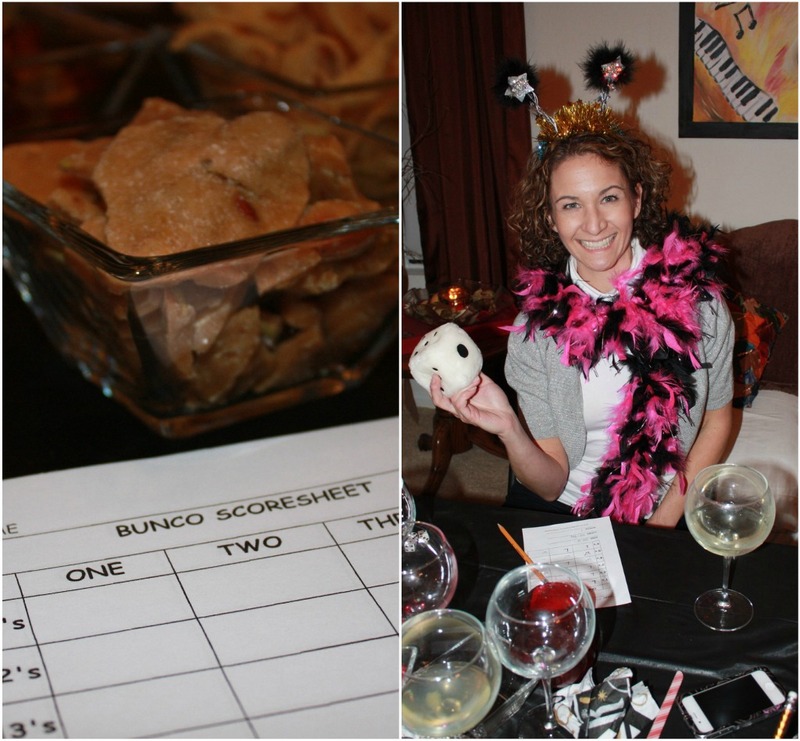 What great bunco themes you all come up with! Those skewers are just great too!!! Your bunco group looks like such a blast! I "tagged" you in my current post! So fun! You guys always have such great themes! Wine, girl friends, tiaras... HECK YES! Love your Bunco nights and your themes! So so cute, friend! How fun! Happy anniversary to the Bunco ladies!